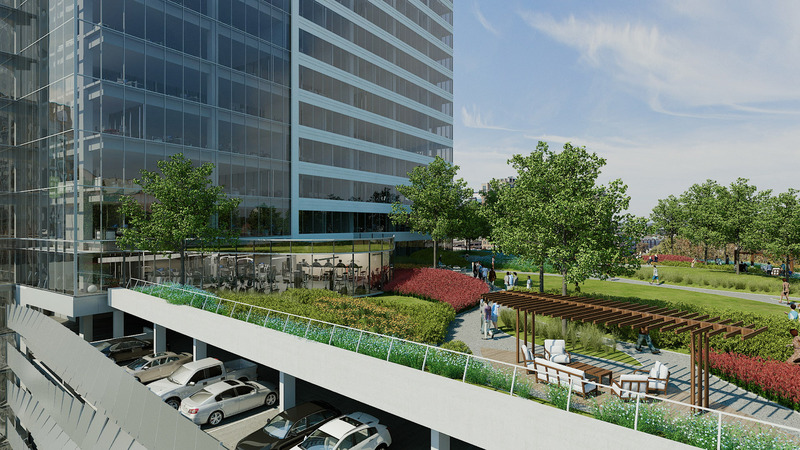 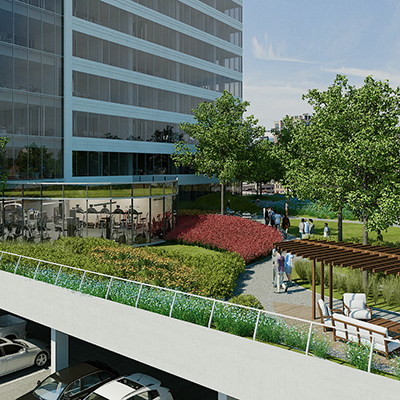 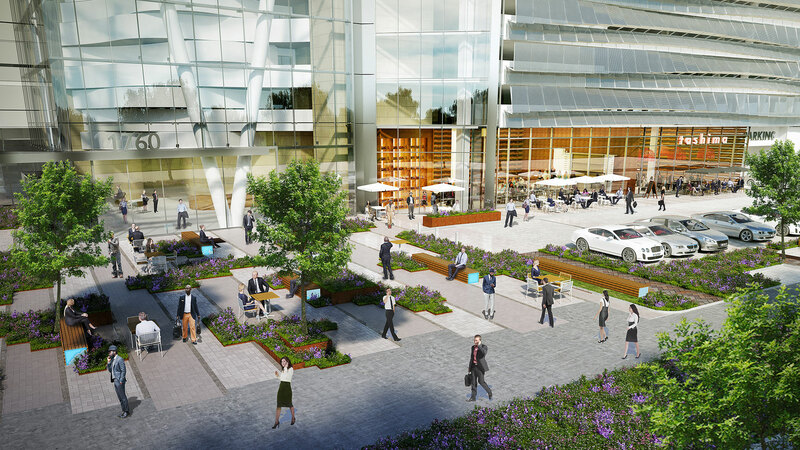 One Reston Town Center is poised to become an iconic landmark that will redefine the office market in the Washington, DC region. 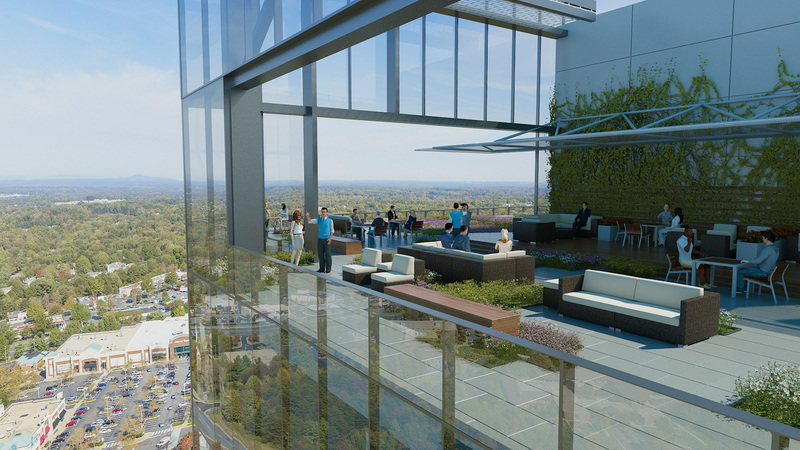 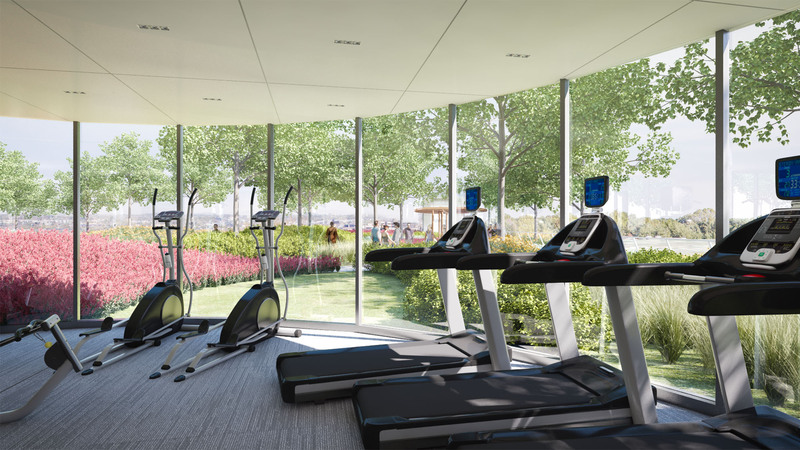 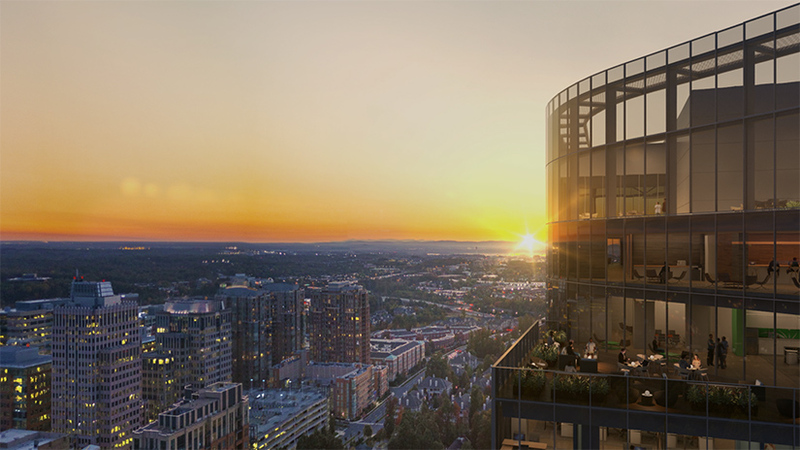 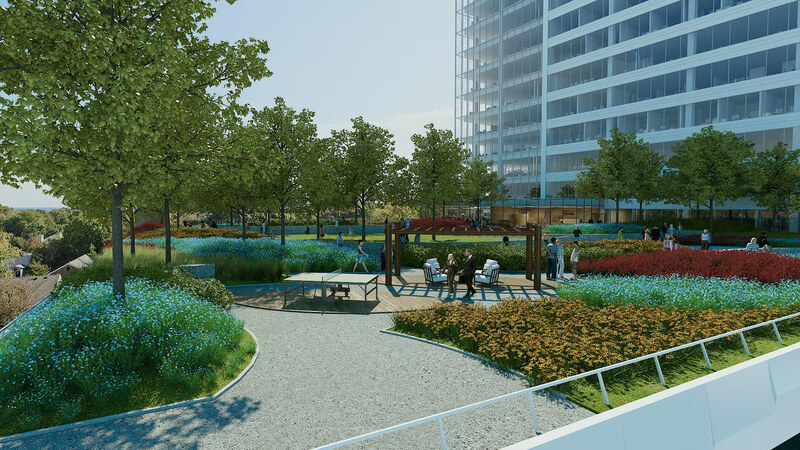 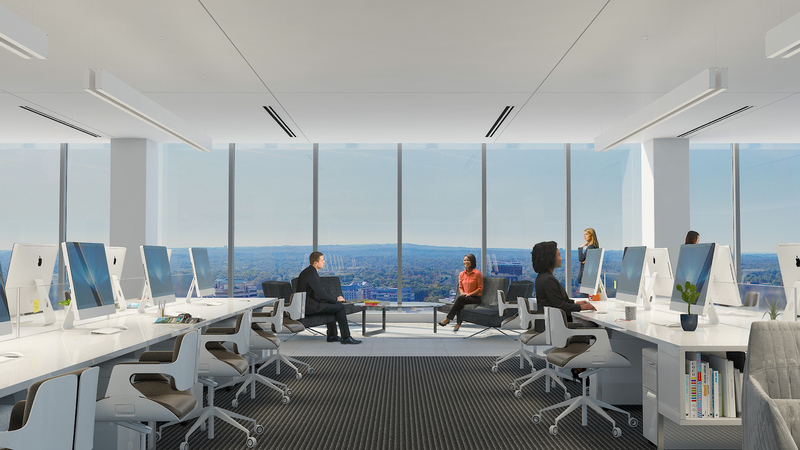 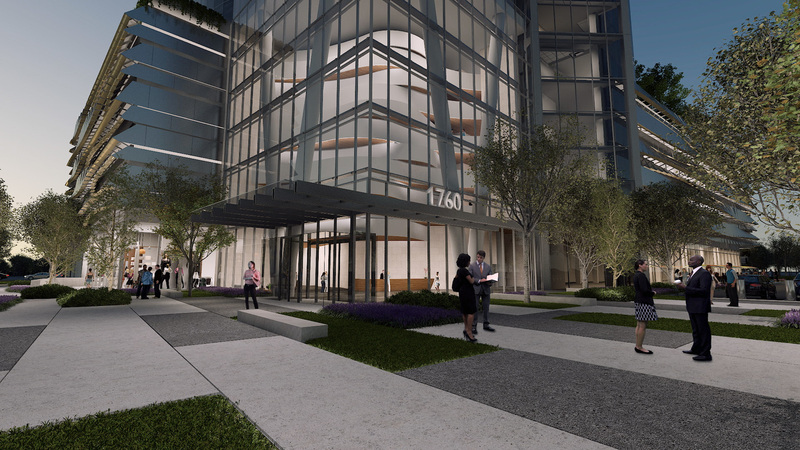 Leveraging its pivotal location within Reston Town Center, the glass tower will be the tallest structure for miles, offering stunning panoramic views extending from downtown Washington, DC to the Blue Ridge Mountains. 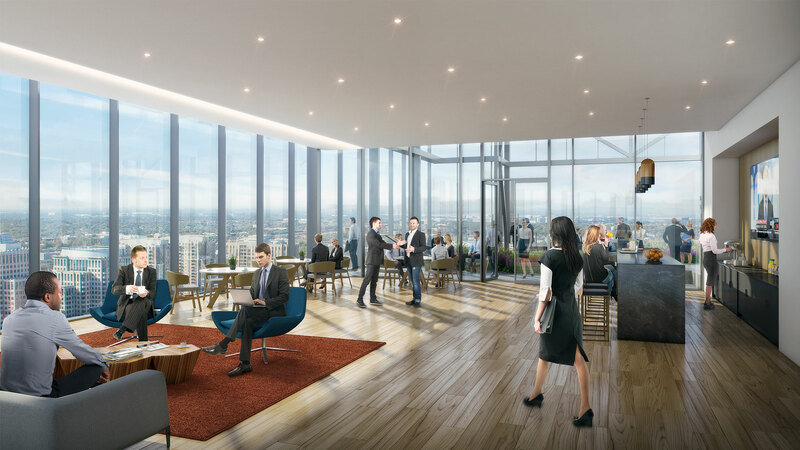 The building will feature a remarkable six-story glass enclosed atrium lobby, a 30,000 square-foot landscaped, outdoor plaza on the seventh floor, and an impressive rooftop lounge and terrace that complement sophisticated design elements and flexible floor plans. 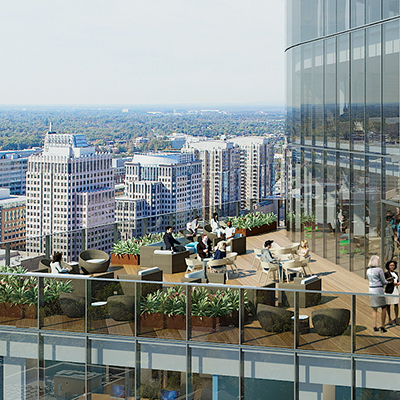 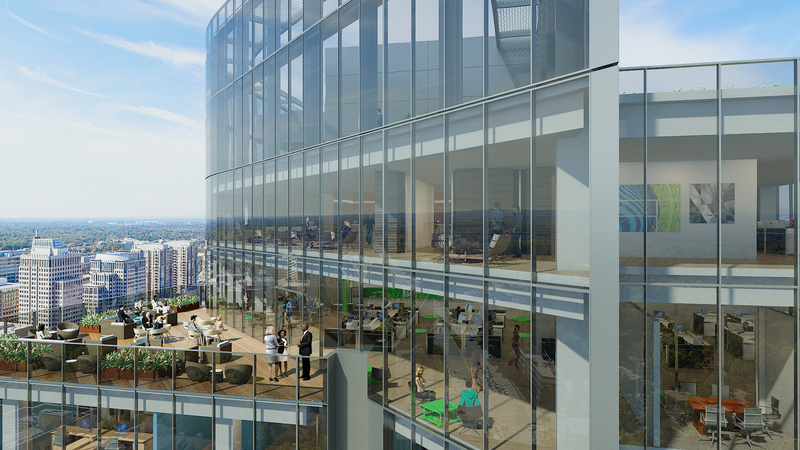 Akridge will develop the expansive 23-story, 420,000 square-foot trophy office tower. 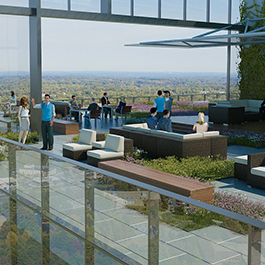 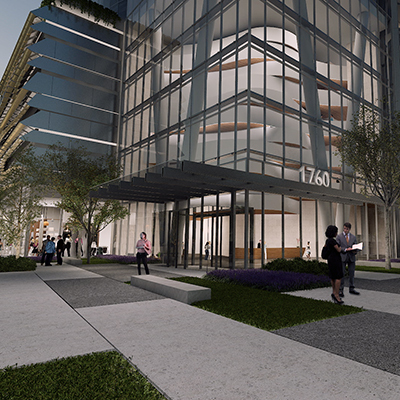 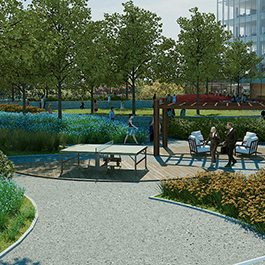 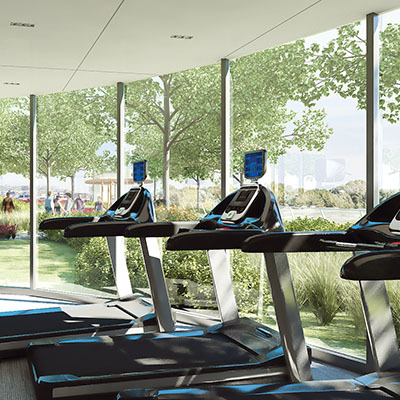 The extraordinary potential of the building’s location, unparalleled amenities, and powerful presence sets apart One Reston Town Center as one address above it all. 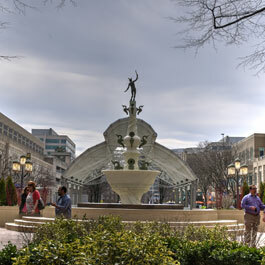 Reston Town Center's open-air glass pavilion serves as an outdoor venue for special events, concerts and festivities, and ice skating in the winter. 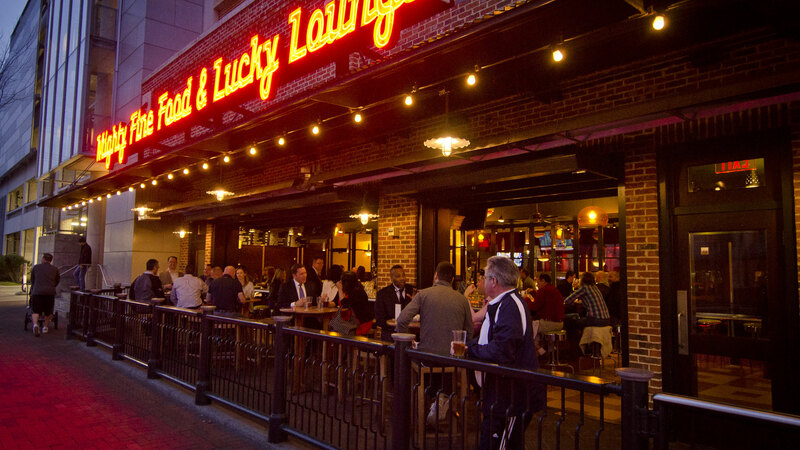 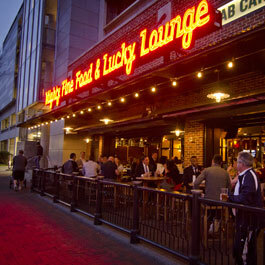 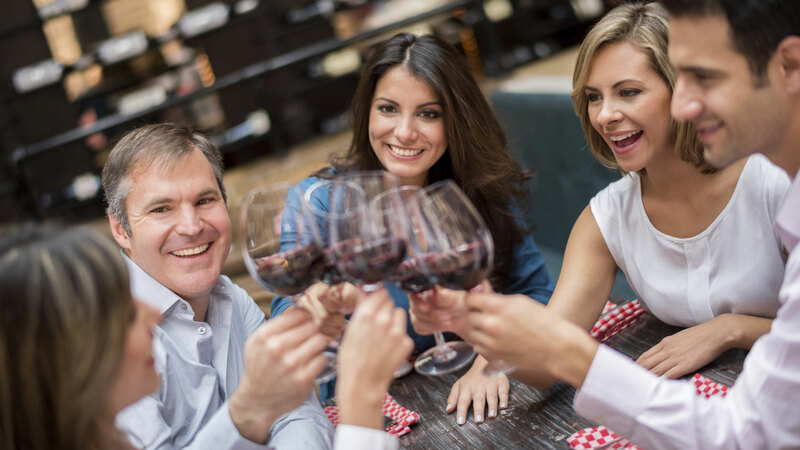 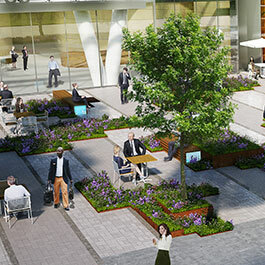 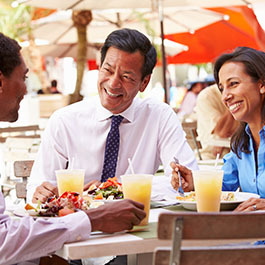 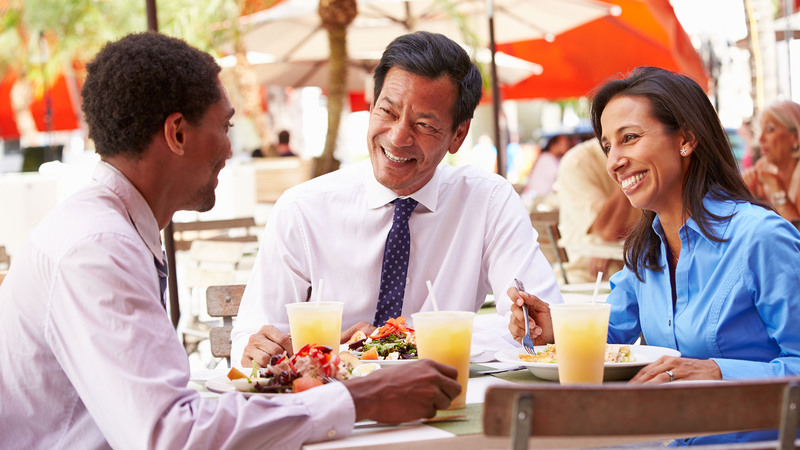 Direct access to retail, entertainment, and restaurants at Reston Town Center. 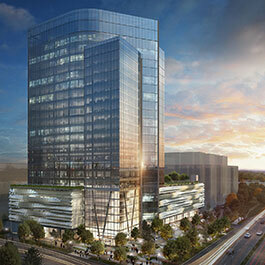 HOK is a global design, architecture, engineering and planning firm. 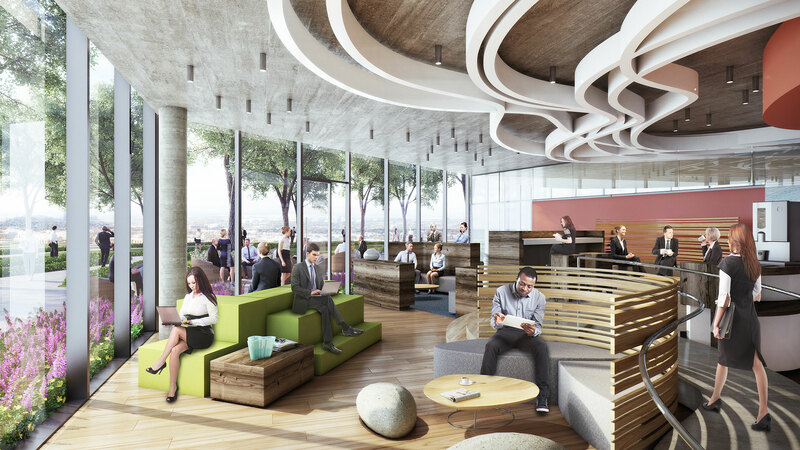 We use design to enrich people’s lives and help organizations succeed. 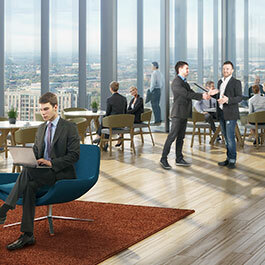 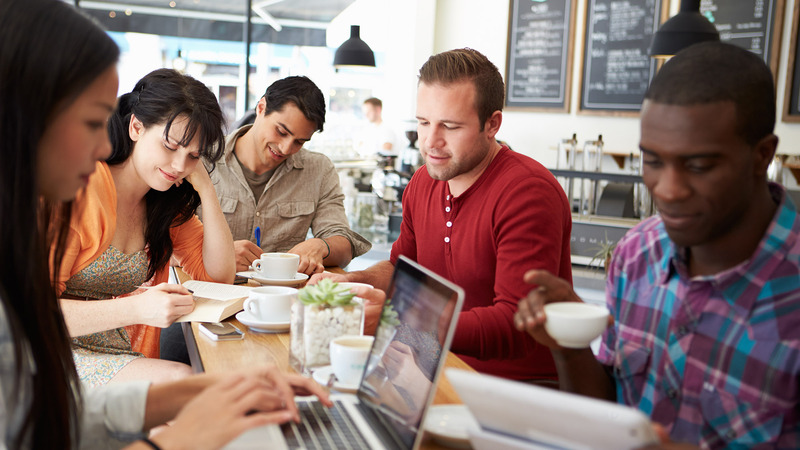 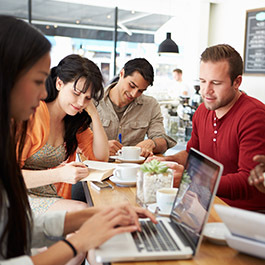 Our 1,800 people collaborate across a network of 25 offices on three continents. 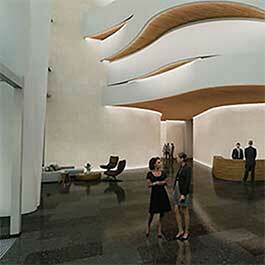 HOK’s mission is to deliver exceptional design ideas and solutions for our clients through the creative blending of human need, environmental stewardship, value creation, science and art. 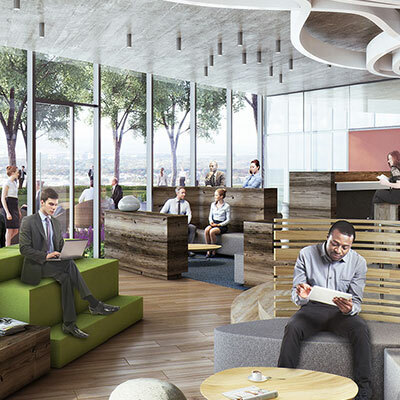 Our design solutions result from a collaborative process that encourages multidisciplinary professional teams to research alternatives, share knowledge and imagine new ways to solve the challenges of the built environment. 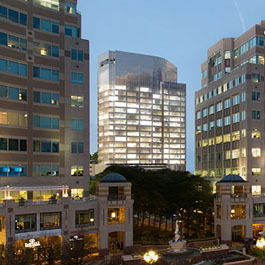 Avison Young is the real estate partner businesses trust for intelligent, integrated solutions. 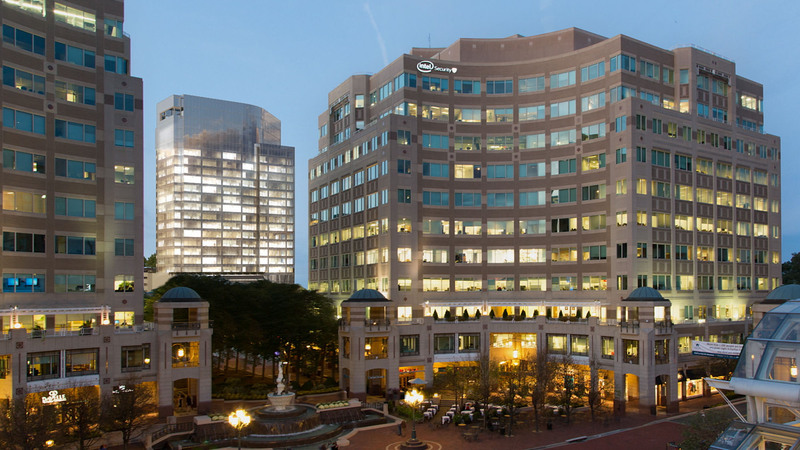 As a full-service provider, we deliver results that are aligned with your strategic business objectives, supporting real estate initiatives that add value and build competitive advantage for your organization. 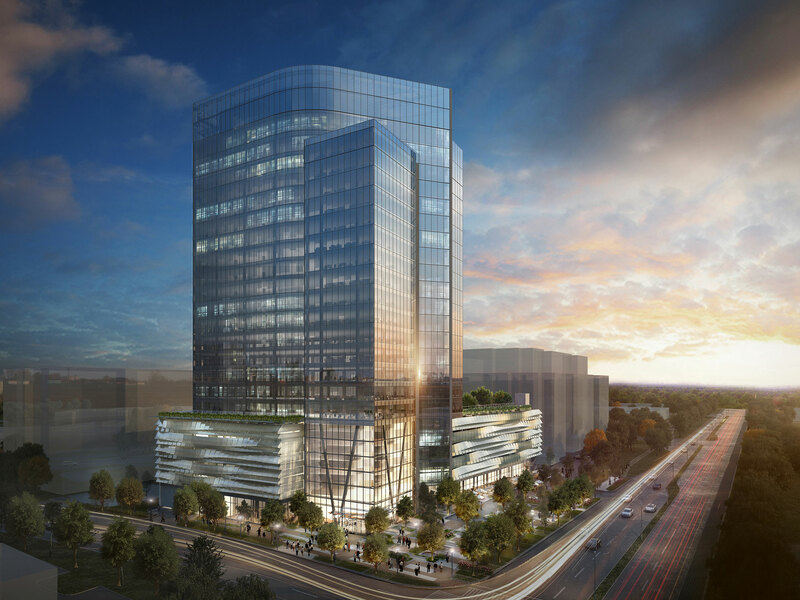 RTC Partnership is a real estate investment entity local to Reston, VA. RTC Partnership acquired 1760 Reston Parkway in 2005 and successfully secured the development entitlements. 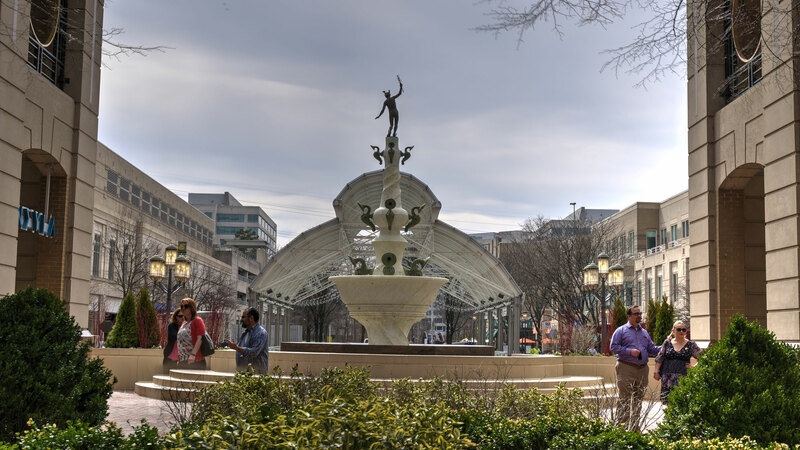 With the help of Avison Young, RTC Partnership and Akridge entered a joint venture to develop what is now One Reston Town Center. 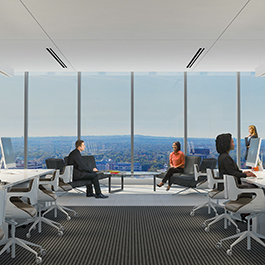 Neoscape is a creative studio with offices in Boston and New York. 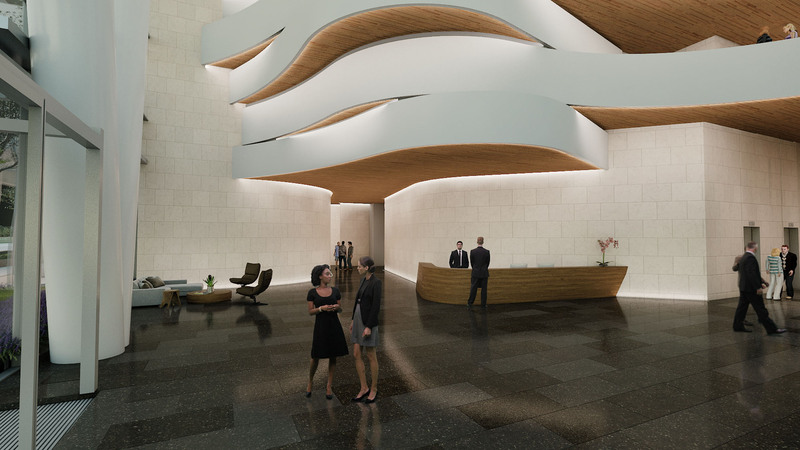 For the past 20 years we’ve been crafting branded experiences of built environments for discerning clients around the world.